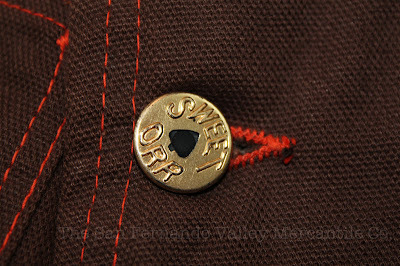 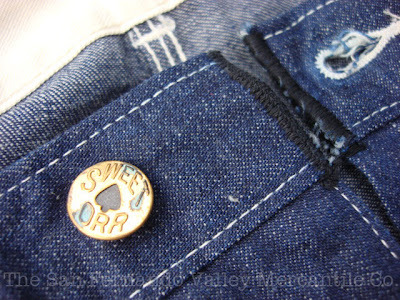 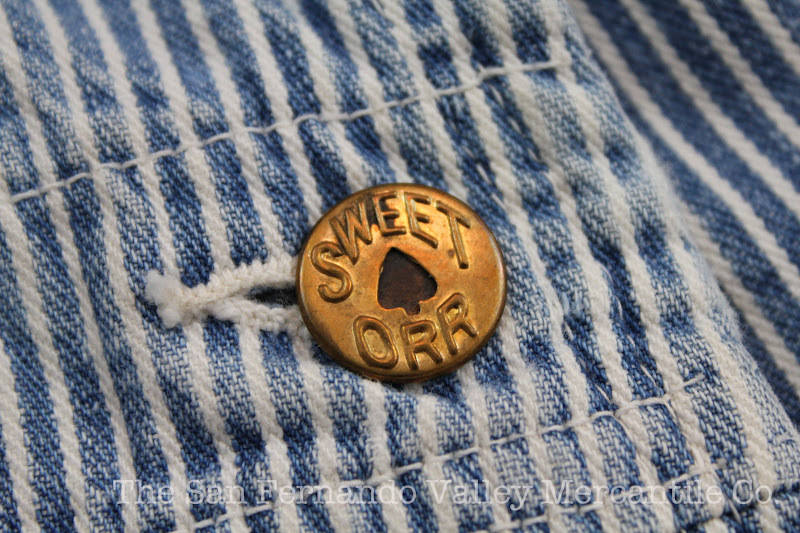 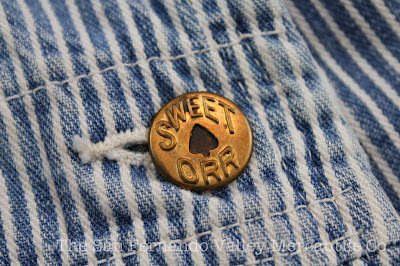 vintage workwear: SWEET-ORR & CO. UNION MADE "Ace of Spades"
More than a decade before SANFORIZED would become synonymous with pre-shrunk garments (not to mention the most excellent Work and Rugged Wear blog), Sweet-Orr & Co. had their own version with the "Ace of Spades" Shrunk overalls, "The Overalls that Don't Shrink". 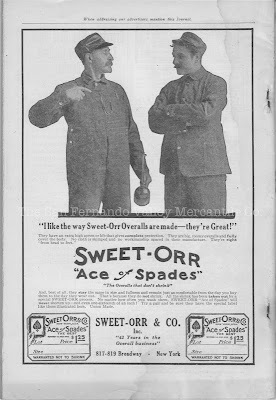 The Sweet-Orr print ad from 1914 below states "All the shrink has been taken out by a special SWEET ORR process. 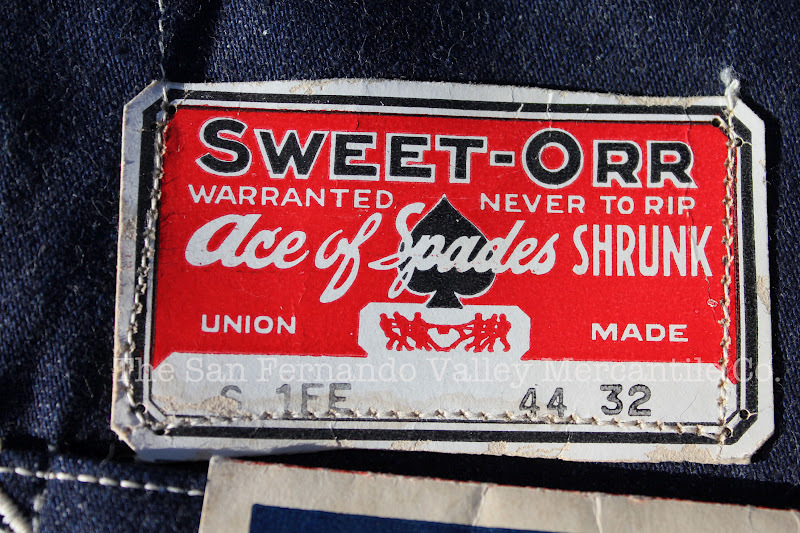 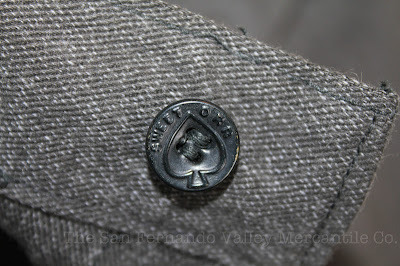 No matter how often you wash them, SWEET -ORR "Ace of Spades" will never shorten up... not even one-sixteenth of an inch"! 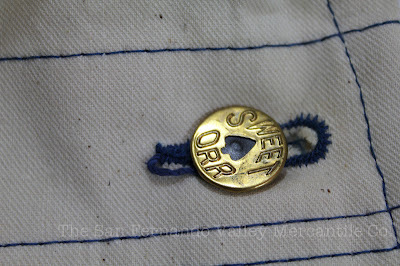 All garments and advertising pictured above are either part of the vintage workwear.com archive or have been sourced and proudly sold via The San Fernando Valley Mercantile Co. Very interesting shovel symbol became very trend in all circles.